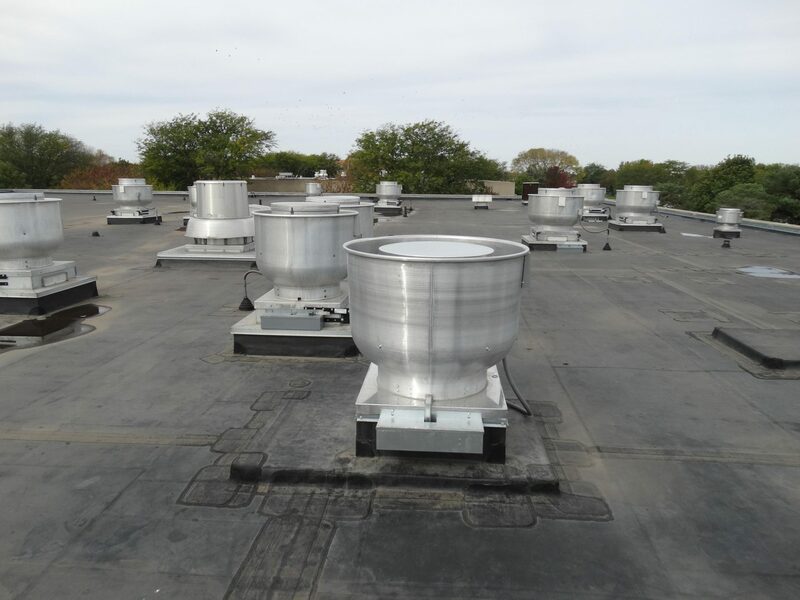 Twin City Fan’s belt driven hinged rooftop exhaust fan, model BHRE, is designed specifically for roof mounted applications handling grease-laden air and elevated temperatures from kitchens, restaurants, cooking and dishwasher hoods. The compact, low profile design hinges on the roof curb to provide easy access for cleaning and maintenance of the unit. BHRE fans feature fully welded, non-overloading backward inclined centrifugal wheels designed for maximum efficiency and quiet operation. All wheels are statically and dynamically balanced. Units are manufactured under strict quality assurance standards to ensure catalogued performance and years of trouble-free operation. The BHRE is capable of handling airstream temperatures of 400ºF continuous.